If the wine or spirit has been properly selected to fit the body and flavor profile of the cigar you will certain experience a synergy. This happens when the terroir of the spirit is perfectly balanced with the thrust of the cigar and the flavors compliment the intricate complexity of the wrapper, binder, and filler. During the first third of the cigar pairing you should have some idea of how well you have paired the cigar and spirt. If all is going well, once you enter the early stages of the last third be sure to blow the smoke into the glass (be liberal and take a deep pull). 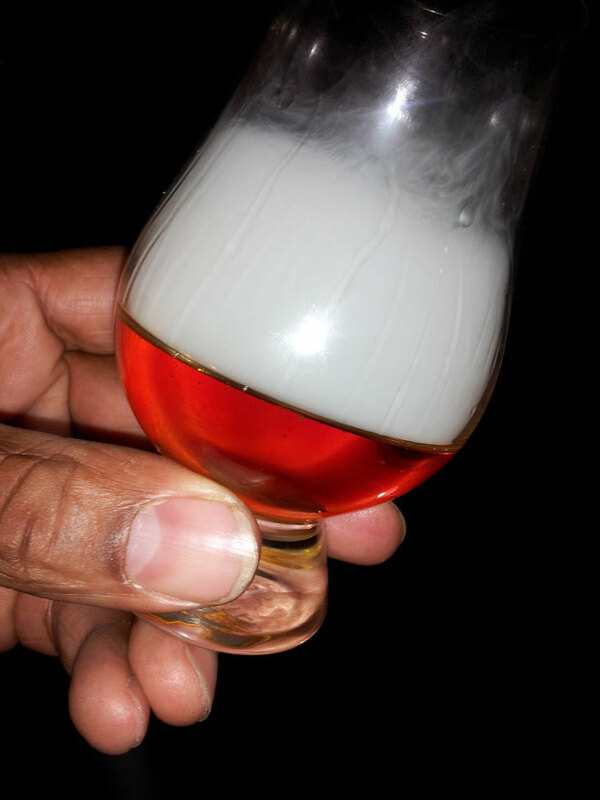 Put your hand over the top of the glass to trap the smoke so that the flavors absorb into the spirit or wine with a few swirls. Remove your hand and let the smoke hover over the surface for a minute then slowly sip it. You should be able to detect the most prevalent flavors of the cigar intertwined with the spirit. This is not some silly trick to look cool or some pretentious act of snobbery; instead, its requisite to complete the cigar pairing. Remember that in a cigar pairing you are not just smoking anything and combining it with any drink. You are strategically searching for a harmonious mingling of complex flavors that embody the land they were produced in and from processes that have been cultivated for hundreds of years. Take it serious and go beyond a smoke and a sip.